One year ago, Amazon celebrated its 20th anniversary with a sale event/Prime membership promotion dubbed Prime Day. Now the online retailer wants to make Prime Day an annual tradition. Amazon recently announced that Prime Day for 2016 would take place on Tuesday, July 12. The catch? Only Amazon Prime members can partake in Prime Day deals. As with last year’s promotion, if you’re not a Prime member you can get the deals by signing up for a Prime 30-day free trial. This year, Amazon's leading up to the big day with special promotions and previews that began on Tuesday, July 5. On Friday, it’s the tech section’s turn with a “Gadgets on the Go” Prime Day preview that includes sales on mobile-friendly devices and accessories. In our quick look at Friday’s gadget deals there weren’t a ton of items to get excited about. You can get a Polaroid Cube video camera for $65 instead of the usual $100. There’s also a price cut on the Anker PowerCore cell phone charger. Amazon is selling the charger for $27 today, while Anker’s price on its own online store is $40. That’s a nice deal, but don’t buy the hype that this is truly 66 percent off as Amazon claims. As we’ve seen time and again with Black Friday deals it may be 66 percent off the list price, but the list price is almost never the actual price you pay at Amazon or any other online store. But again, this is just the warm up. 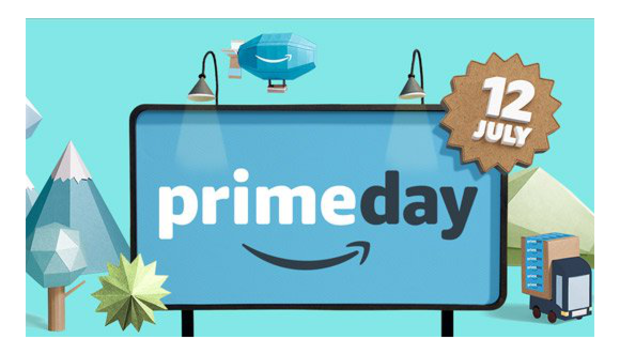 The impact on you at home: On Tuesday, Prime Day 2016 will offer more than 100,000 deals worldwide including lightning, limited time deals and standard sale prices. In the U.S., Amazon says there will be almost twice the number of sale TVs than on Black Friday and Cyber Monday combined. That doesn’t necessarily mean more TV models will be on sale just that more of those select sale items will be available for you to buy compared to the big holiday sales. Amazon's also offering a few contest giveaways for U.S. residents on Prime Day. There will be select Prime Music playlists associated with a chance to see twelve different artists live. Listening to the playlists enters Prime members into a draw to win a chance to see performers such as Carrie Underwood, Blink-182, Norah Jones, Flo Rida, and The Lumineers. Uploading a photo to your Prime photo account enters you into a contest to win $5,000 worth of Amazon gift cards. Prime members can also get 40 percent off a Kindle Unlimited membership on the big day. Finally, for Echo, Echo Dot, and Tap owners, Amazon is adding some special deals if you use the company’s Alexa digital assistant. On Prime Day, users of the smart speakers can ask, “Alexa, what are your Prime Day deals?” Additionally on Friday, Alexa owners can get special deals by using the same question or by visiting amazon.com/AlexaDeals. Following Prime Day 2015, there were complaints that the deals were a little on the lackluster side. Nevertheless, Prime Day was a big deal last year and probably will be again in 2016—even if the deals don’t live up to the hype.